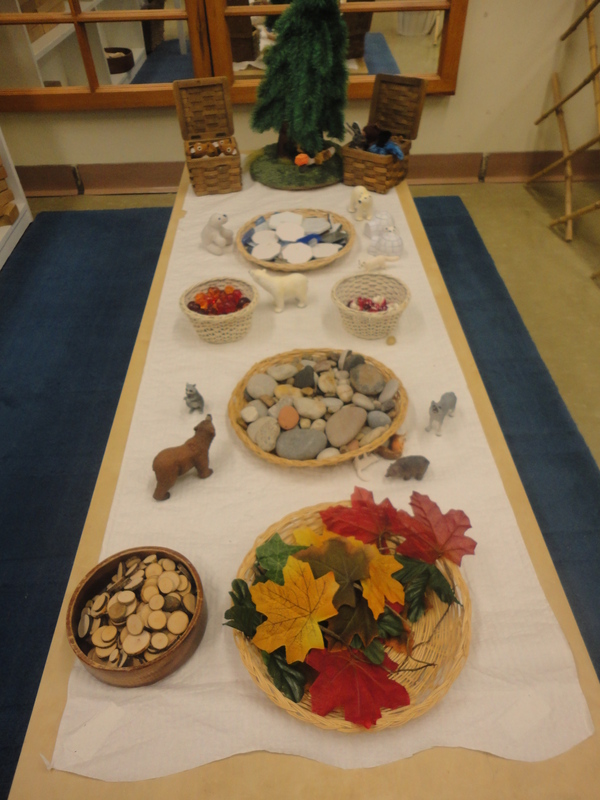 This week at the small building centre, we created an “animals in winter” provocation using a variety of materials and loose parts: wood chips, acorns, mushrooms, small blocks, glass tiles, animals, stones, etc. 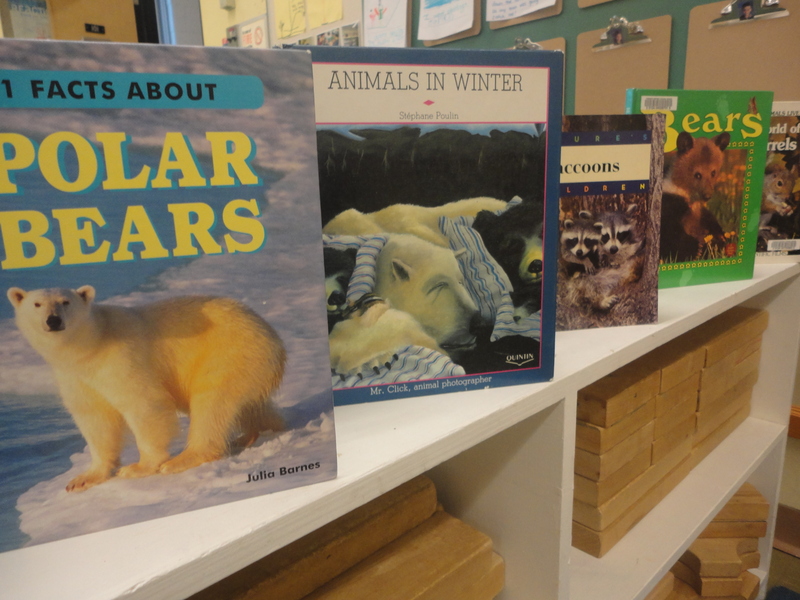 We also provided the children with some non-fiction books about animals and the class iPad. 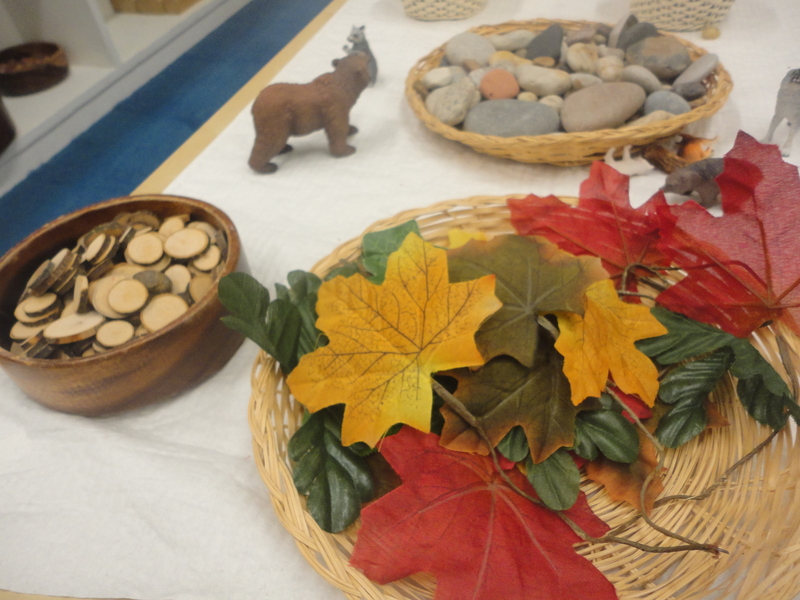 Having a variety of loose parts available to the children is advantageous in many ways. Loose parts can be used in any way the children wish, thus encouraging creativity and imagination. 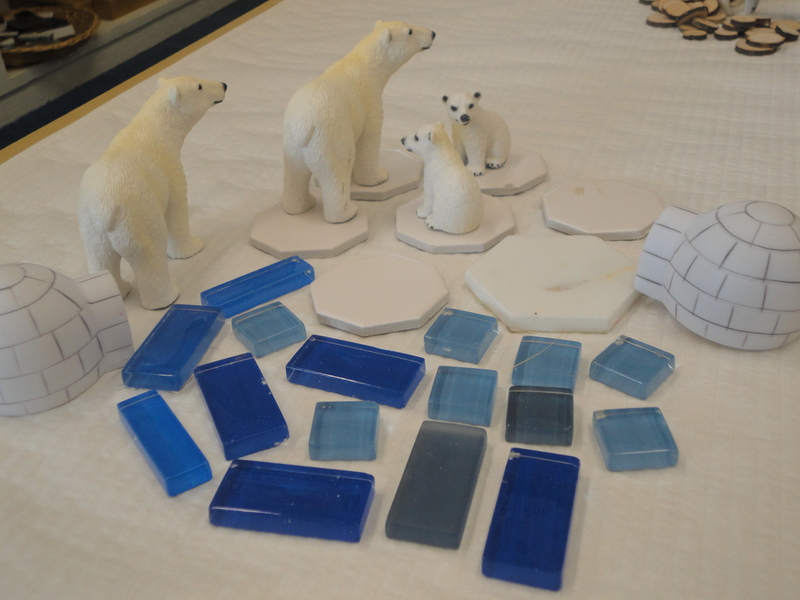 The children are also not limited with how loose parts can be used, combined, or organized. 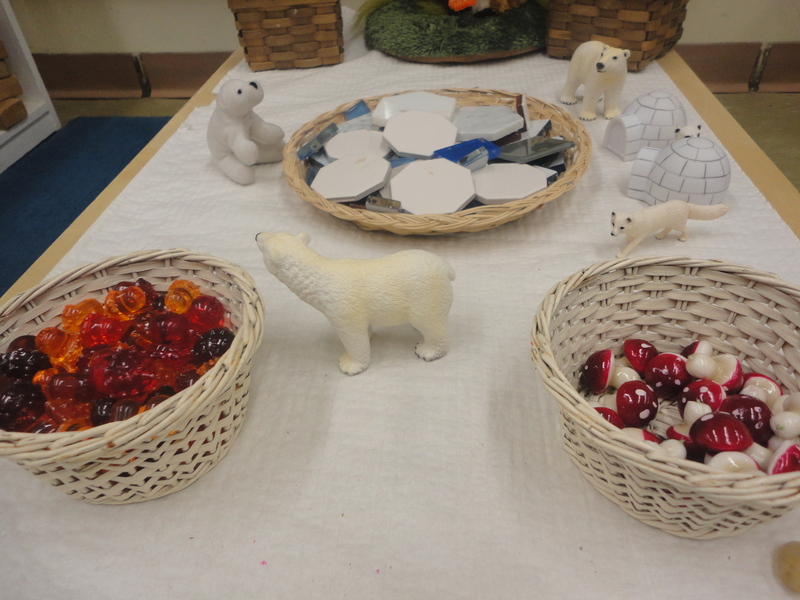 Because loose parts can be used in many ways, the children are able to demonstrate and explore a variety of themes and ideas. 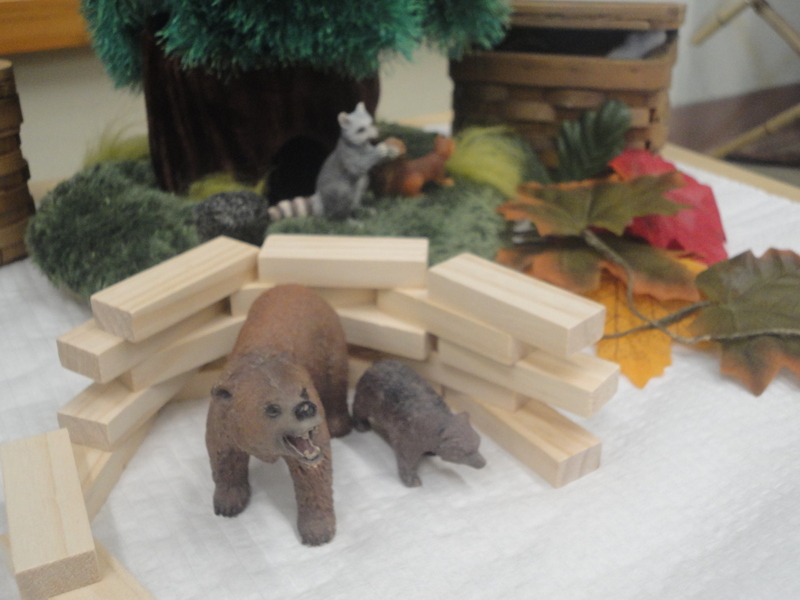 A popular theme that arose from this provocation was that of animal homes. 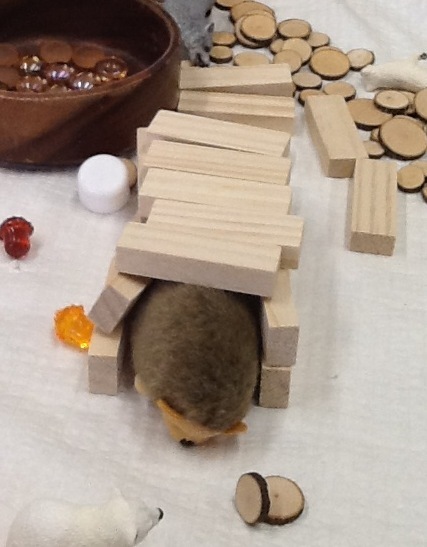 The children were very interested in using the loose parts to create shelters for the animals. When they weren’t sure what a particular animal’s home looked like in real life, we googled it on the iPad and used the images we found to recreate a home that suited the animal. There was a lot of investigation, research, and problem solving going on! 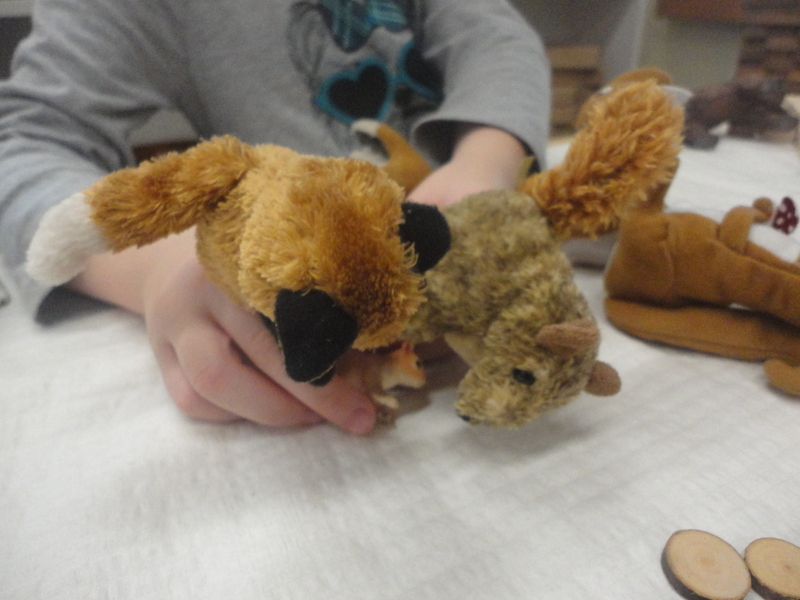 This entry was posted in Loose Parts, Provocations, Science and Technology and tagged animal homes, animals in winter, loose parts, Reggio inspired kindergarten, science and inquiry, small building centre by msmcdonell. Bookmark the permalink.